Occasioned by the Quill’s success at ForeWord Magazine‘s Book of The Year Awards for several years now, editor Julie Eakin approached Tim Inkster about doing a publisher profile. The following is a copy of the interview that ran in their spring issue, released on March 1, 2012…. ForeWord: Why does The Porcupine’s Quill exist, and who’s your audience? Tim Inkster: I was studying English at the University of Toronto when I took a course from the legendary Dave Godfrey, who had founded the House of Anansi in Toronto in 1967 along with poets Dennis Lee and Allan Ginsberg. After graduation in 1971, I started work as the sole employee of Dave Godfrey’s Press Porcepic. The Porcupine’s Quill was established in 1974, originally as the production arm of Porcepic. In the 1970s and 80s our primary market was the Canadian independent, but many of those stores, like Longhouse, Double Hook and Britnells, no longer exist. We tried, unsuccessfully, to adapt to the merger of Chapters and Indigo in Canada in the late 1990s, but lately our growth markets are the e-tailers and the big US wholesalers, and a significant part of our export marketing strategy leverages the opportunities offered by ForeWord magazine. 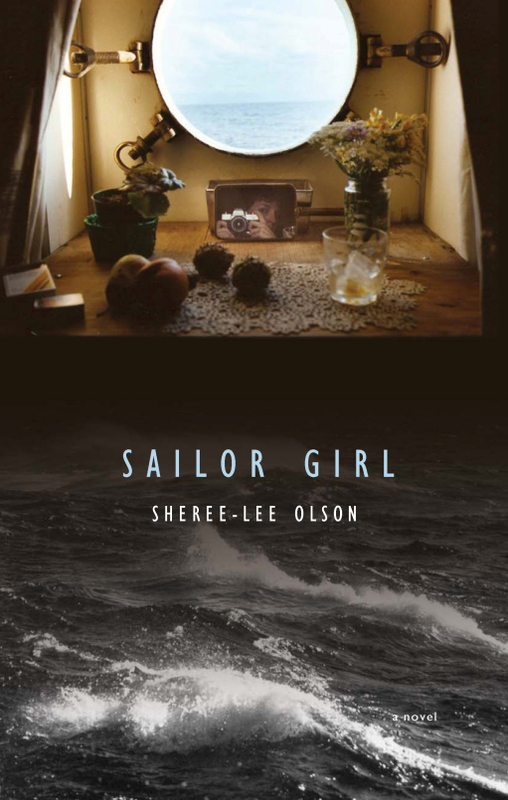 from Sailor Girl by Sheree-Lee Olson. FW: What criteria do you use when selecting books to publish? TI: Is serendipity an acquisitions strategy? In March of 2005, for example, I received a query from an unpublished author who said she had a manuscript for a novel about commercial shipping on the Great Lakes. I was more than casually interested. My father had sailed, briefly, as a deckhand on the Lakers in the late 1930s, and my father’s father was Captain Walter Inkster of Collingwood, who was something of a legend on the Lakes. At the time, however, PQL was facing returns problems and cash-flow problems and I had decided that drastic measures were to be implemented. I responded to the query from Sheree-Lee Olson, whose name I did not recognize, and told her a little of my personal interest in her book, but also that we were not in a position to consider new commitments. A few days later I received a telephone call from Rebecca Caldwell at The Globe & Mail who reminded me that her boss, Sheree-Lee Olson, was editor of the Style section of Canada’s National newspaper. Rebecca wondered if I would be willing to repeat anything I had said privately to Sheree-Lee, for publication. ‘Literary gem to cut staff, book list’ by Rebecca Caldwell appeared in The Globe on March 31, 2005. That was a low point. Two years later I found myself, much to my surprise, ‘still in business’, so I contacted Rebecca Caldwell to see if Sheree-Lee had found a home for Sailor Girl, which she had not. My wife Elke and I were thrilled, in October, to be able to attend a ceremony unveiling a Project Bookmark Canada plaque for Sailor Girl at Lock 8 on the Welland Canal in Port Colborne. FW: Tell us about the role of design in your offerings. TI: The Porcupine’s Quill has built, since 1974, an enviable reputation for expertise in the use of twentieth-century offset printing technology to replicate the quality look, and feel, of a nineteenth-century letterpress product. Most of the production work is completed at the shop on the Main Street of Erin Village, where books are printed on a twenty-five inch Heidelberg KORD, folded, and then sewn into signatures on a 1905 Model Smyth National Book sewing machine. We print on acid-free Zephyr Antique Laid that is milled to our specifications by Cascades Fine Papers at their mill in St Jerome, Quebec. Many of our publications involve collaboration with contemporary wood engravers such as Gerard Brender a Brandis, Wesley Bates, George A. Walker, and Jim Westergard. FW: Speak about any challenging moments in the history of the press. TI: In the mid-eighties I was asked to address a round table at the Royal Ontario Museum which gave me a means to apprise the Deputy Minister of Culture of difficulties I was experiencing with one of the Big Five Canadian banks. One of the Ministry’s bureaucrats interceded, on my behalf, with the head office of said bank, which thereupon encouraged their regional office to take action. By the time this well-intentioned directive from Bay Street reached Erin Village, some weeks later, the local branch manager mistakenly thought he had been instructed to put me out of my misery. I was given ten days to repay a quarter of a million dollar demand loan. Which I did, with the help of another bank. But I didn’t sleep well, for many of the ten nights. 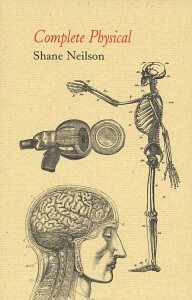 Complete Physical by Shane Neilson. FW: Can you tell us what constitutes good design, from your perspective? TI: Good design happens at the intersection of function and form. Complete Physical, for example, is a collection of poems about the practice of family medicine in a small town in rural Ontario. 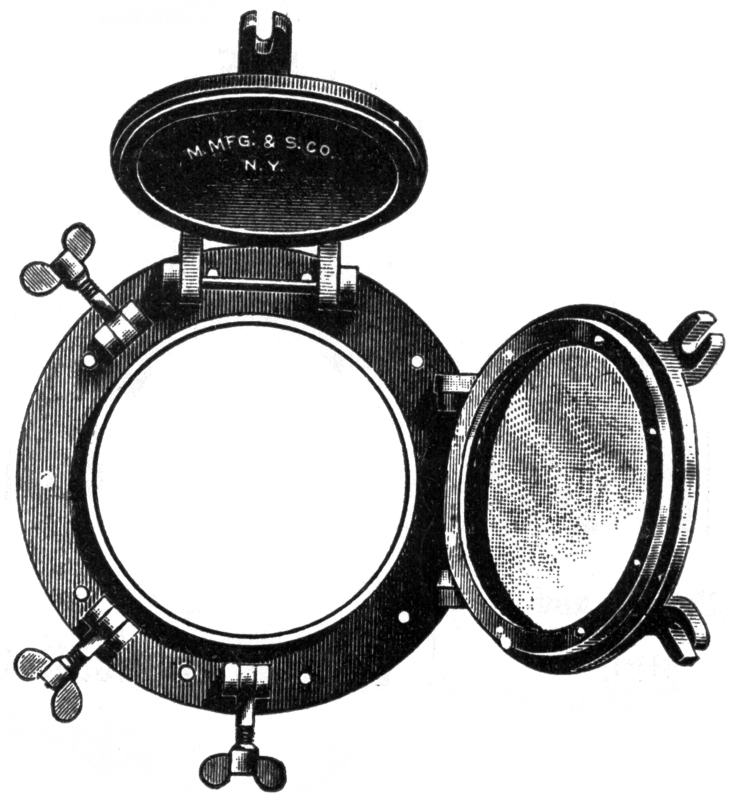 The book is illustrated with 19th-century engravings taken from physiology texts we found abandoned in a barn in Wellington County in the early 1970s. But the specific placement of the images was informed by the poet’s two major section heads. In Part One, ‘White Coat’, we used images suggestive of diagnostics, hence, ears, eyes, nose and throat. Part Two, ‘Black Bag’, features organs such as kidneys, spleen and the diseased liver of an alcoholic. 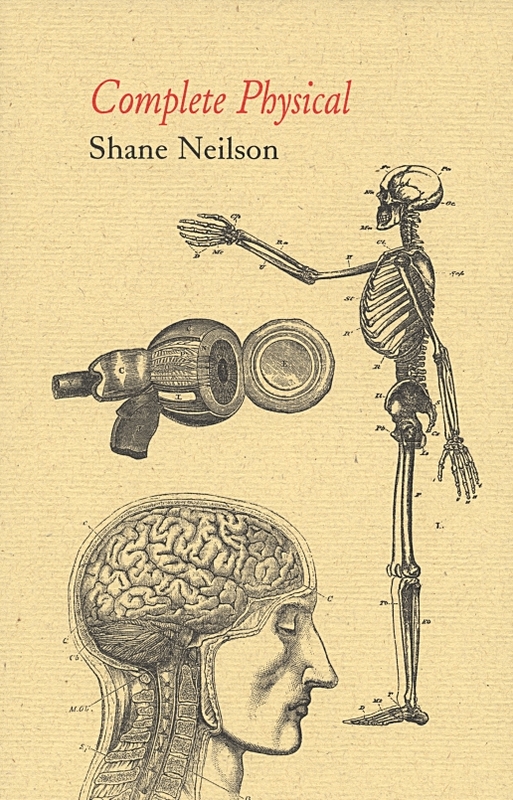 The subtle visual humor starts with the cover, on which a skull is seen to be smelling the feet of a skeleton, mincing the popular misconception that disease emits an odor. The humor extends to the endpapers, which are hospital green, the bit of red blood on the cover, and the gratuitous inclusion of a bookmark / tongue depressor on which an open mouth leads down the digestive tract to the bowels. from A Suit of Nettles by James Reaney, wood engravings by Jim Westergard. FW: Share some artists and books that you love. TI: We recently published a new edition of James Reaney’s classic pastoral eclogue, A Suit of Nettles, with wood engravings of geese dressed in Victorian costume that we commissioned from Jim Westergard of Red Deer, Alberta. The original edition was published by Macmillan in 1958, and designed by the great Allan Fleming. The poem is a pastiche of Spenser’s Shepherd’s Calendar but the characters in the narrative are geese that Reaney remembered from his mother’s barnyard in Easthope, outside of Stratford, Ontario. I think our edition is superior to the Macmillan original. I’m proud of that, to be a player in that league. FW: What’s in the future for The Porcupine’s Quill? TI: I am told that Minister James Moore of the Department of Canadian Heritage believes the future of literary publishing is digital. We have perhaps three dozen recent frontlist titles available for sale as e-Books on Google, but sales, thus far, since 1 November, are miniscule. We are working closely, on the other hand, with wood engraver George A. Walker, who embraces nineteenth-century printmaking techniques to produce wordless novels such as the Book of Hours or the upcoming Mysterious Death of Tom Thomson, which we then digitize and release as popularly-priced offset productions that look better on the iPad than they do in ePub format. This entry was posted in Letters from the Porcupette (the Intern's Blog) and tagged A Suit of Nettles, complete physical, ForeWord Magazine, George A Walker, James Reaney, jim westergard, Sailor Girl, shane neilson, Sheree-Lee Olson, The Mysterious Death of Tom Thomson, The Porcupine's Quill, tim inkster. Bookmark the permalink.